One of my new years goals, is to be more organized. I started with my home office, by working on organizing my craft supplies. I have an office with open shelving, so I knew I needed to use boxes to hide all my supplies. I ordered plain cardboard boxes from Uline here. You can get 50 boxes for about 45 dollars. I use the rest for sending gifts of as party favors. Having boring cardboard boxes on my dark wood shelves didn't seem to appealing so I decided I was going to decorate them. 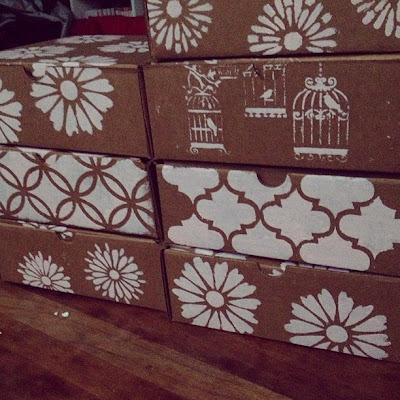 I used the Daisy and the Martha Stewart Stencils found bellow. I stenciled with acrylic paint in a light pink color. I recommend stenciling the boxes before assembling them just figure out the top the sides before starting stenciling. If you mess up you can always turn the box around and stencil the other side. 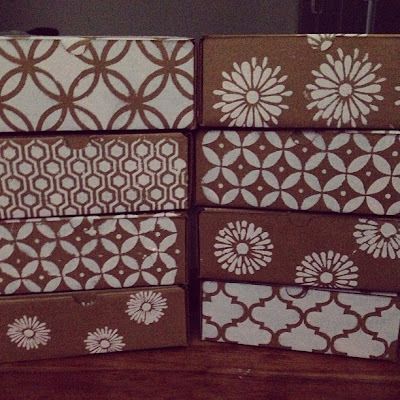 Let the boxes dry before assembling them. 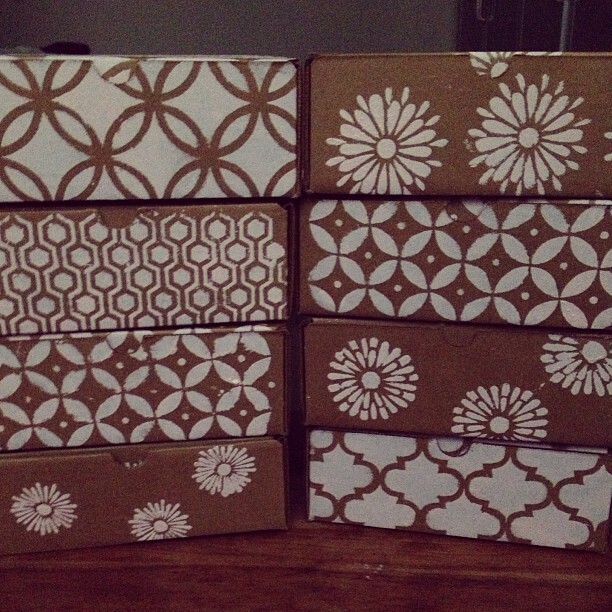 I will add labels later, but I think these are great gift boxes or favor box ideas too.